I can't tell you much about the 1950 club champion, as I only knew him for a short time in 1981, when he returned briefly to Durban and took part in the 1981 club championship. He played remarkably well for a 74 year old, and finished a surprising second to myself in that event (our individual game was drawn). Surprising, as he finished ahead of the 1982 champion Van den Berg, and also many times champions Blackburn and Boulle! He may have been the oldest ever player in the A section. Edgar scored 10½ out of 11 in the 1950 club championships, ahead of McBride and Earp, who both scored 9 points. As a result of this victory, Edgar was invited to play in the 1951 South African championships held that year in East London. He finished in a tie for 9th place with 4½ out of 12. He must have liked it in the Eastern Cape, as he moved to Port Elizabeth in 1951 (winning their club championship in 1951 and in some later years). 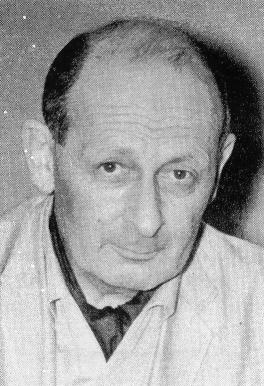 Edgar Hill was also highly regarded as a tournament director, and was the director of the third South African open, held in Durban in 1966. I have written a separate article on the 1966 open and history of the South African Open.